Sprinkler spring start-up services: Inclement weather, snow, ice and unintentional disruption on the part of people can all cause sprinkler heads to become misaligned during the winter months. The result is a system that won’t work the way it’s supposed to come spring. When you call us for sprinkler system service in Burlington County, NJ, we’ll check all sprinkler heads, make necessary adjustments and repairs, check your rain sensor and program your automatic timer to meet your needs. Seamless start-up: At Star Sprinkler Systems Inc., our goal is to get your sprinkler system started up in the spring as efficiently as possible, with minimal hassle. You can always trust our team to get to the bottom of any malfunctions quickly and make repairs and adjustments with confidence. 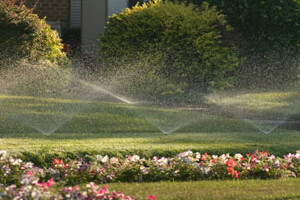 Expert attention: We have been sprinkler contractors in Burlington County, NJ since 1980, and during the ensuing decades, our team has gained the knowledge and expertise necessary to work on all kinds of sprinkler systems. When you trust us with your system, you can always rest easy knowing it’s in capable hands. After more than 35 years in the business, Star Sprinkler Systems Inc. understands what makes a quality sprinkler system or component. We trust such industry leaders as Hunter, Rain Bird and Toro, and stand behind the quality of their products. Ask about upgrades to your system when you schedule your spring start-up visit! To get in touch with Star Sprinkler Systems Inc. about our sprinkler start-up services come springtime, or to learn more about our other services, please call us at 609-654-1241. We look forward to hearing from you!